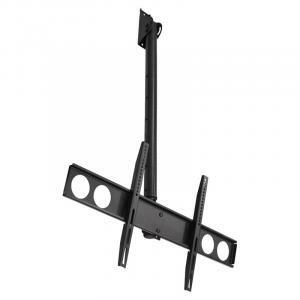 TV ceiling mount brackets come in a variety of configurations and styles. Most ceiling TV mount designs feature tilt and swivel adjustment, to ensure the correct positioning is achieved no matter what the room or environment is. LCD mounting brackets aren’t just for home cinema either! Give a professional look to your pub or shop with a ceiling mounted TV. Especially when paired with wall mount speakers, or even Active PA Speaker, this kind of set up is great for commercial settings. When purchasing a TV ceiling mount, you must carefully check the specifications of your LCD TV to make sure that the hardware is compatible. 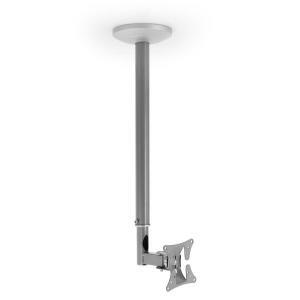 A ceiling TV bracket usually has a VESA hole spacing standard to ensure equipment compatibility. For example, common VESA spacings include 75x75mm, 100x100mm, 200x100mm, 200x200mm, and 400x400mm. 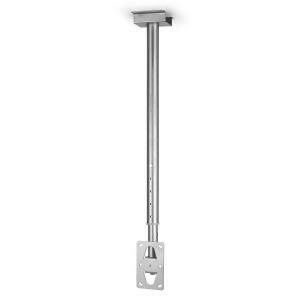 There are also different load capacities for TV ceiling brackets, usually in the range of 50kg up to 70kg. 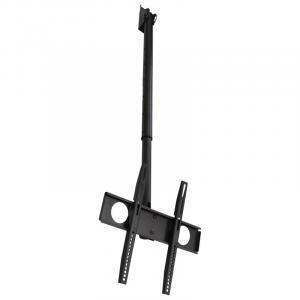 Ceiling TV mount brackets are available for sale online at cheap prices alonside our Record Players. 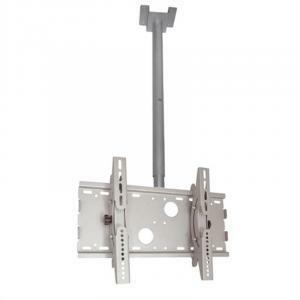 Some ceiling mounted TV brackets are universal, meaning that they can adjust to fit a variety of screen sizes and brands. So no matter what brand your TV is, a universal mount should do the trick. A variety of screen sizes (including LCD computer monitors) can also be accommodated, including the most common sizes like 32”, 36” and up. A TV ceiling mount will give you the flexibility to watch shows and movies comfortably while your Stereo Systems takes care of the sound. 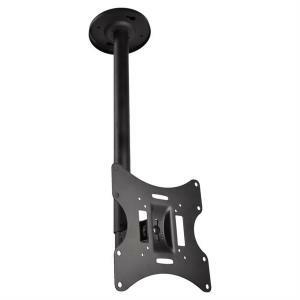 Ceiling brackets for TV mounting are typically finished in either white, black, or silver, to ensure that the hardware matches any modern home cinema. Many also double as a TV wall mount, which you might find more convenient depending on your needs, if for instance you have a Surround Sound system.